Synvisc knee injections, also known as Hylan G-F 20, are one of the most common types of joint lubricant injections used for the treatment of knee arthritis. The substance used in synvisc knee injections is hyaluronan, which is a natural gel-like substance found in normal joint fluid, which lubricates the knee. Injecting hyaluronan into the joint can help to reduce pain and inflammation in the knee, common symptoms of arthritis. This in turn helps to reduce stiffness in the knee joint, improving flexibility and making daily activities such as walk and going up and downstairs easier. There are other hyaluronan based injections on the market, such as Hyalgan and Euflexxa which all work in similar ways, but Synvisc injections are generally the most popular so we will concentrate on them here. We will look at the indications for treatment, how the injections are carried out, their efficacy and the potential side effects. There are also other types of injections that are given for pain and inflammation such as corticosteroid injections, visit the knee injections section to find out more. What are Synvisc Injections Used For? Synvisc knee injections are used to help treat arthritis. The bones in the knee joint are lined by a layer of cartilage which cushions the joint and prevents friction. The joint also contains synovial fluid which lubricates the joint. 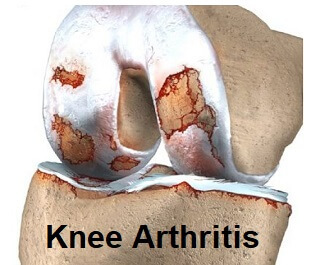 With arthritis, the cartilage thins and frays and the synovial fluid loses its viscosity. This causes increased friction on the knee bones which results in pain. Cartilage has a poor blood supply which limits the healing process. Synvisc injections help to improve the lubrication and cushioning of the knee joint caused by the cartilage damage. They help the knee bones and cartilage to move more smoothly which reduces pain. It’s a bit like putting oil in your car to help lubricate it. Hyaluronan also helps to reduce inflammation which can help to protect the remaining cartilage from damage. The overall effect of this is a reduction in knee pain which leads to improved mobility and function. Synvisc injections tend to be given when other forms of treatment like medication and arthritis exercises are no longer working adequately. Usually a single synvisc injection is given once a week for three weeks, usually on days 1, 8 and 15. A further course of knee injections can be given after six months. Synvisc knee injections should only be carried out by qualified doctor. This short video, from a consultant orthopedic surgeon, looks at how synvisc knee injections work, who they are suitable for, and how to get the best results. Studies looking at Hyaluronan injections, such as Synvisc, vary in their results. Some show significant pain relief lasting up to 6 months, others show no effect when compared to placebo injections. The general consensus is that they have a short term relief but will need to be combined with other arthritis treatments for maximum benefit. It often takes a few weeks to notice any effect from Hyaluronan knee injections, so don’t worry if you don’t feel any benefit initially. Joint lubricant injections are most effective for people suffering from mild to moderate arthritis. Clinical trials have suggested that synvisc injections can delay or prevent the need for knee replacement surgery, but the evidence is still inconclusive at this time. Synvisc knee injections received FDA approval in the US in 1997. However, they are not currently recommended under the NICE guidelines (National Institute for Clinical Excellence) in the UK for the treatment of arthritis, and are not routinely administered by UK Rheumatologists. There have been no serious side effects reported from the use of synvisc injections. The most common side effect is a short term increase in inflammation in the knee. This only happens in approximately 3% of cases and usually only last a few days. There is also a small risk of infection. NB SAFETY ADVICE: You should not do any strenuous activity for 48 hours after having knee injections such as jogging, sports or heavy lifting to prevent the risk of injury. 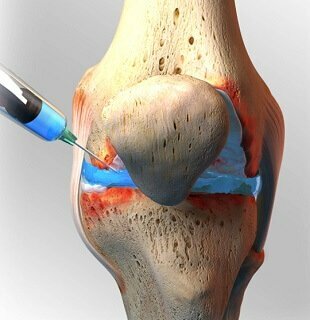 Another common type of knee injection is Corticosteroid injections. Find out more including indications for treatment, effectiveness and side effects by visiting the knee injections page. Synvisc knee injections will have most benefit when combined with other knee treatments such as exercises. See the arthritis knee treatment section for more information, including exercises you can do in your own home. If you need help working out what is causing your pain, visit the knee pain diagnosis section.